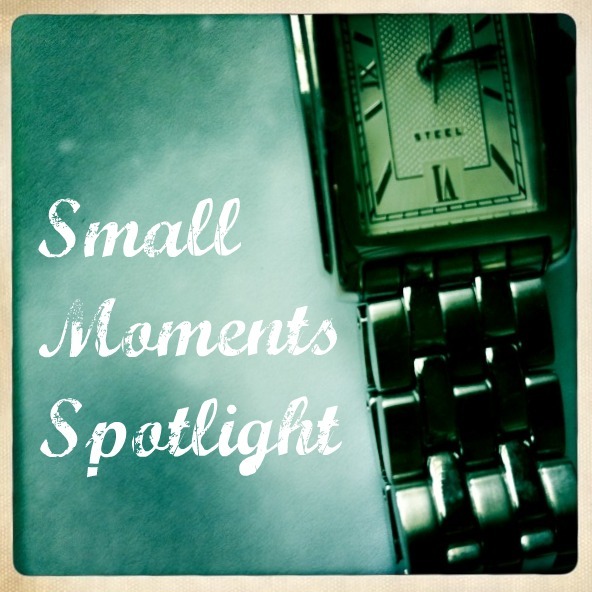 I am thrilled to highlight a handful of amazing posts in this week’s Small Moments Spotlight. I just love A moment, by Ginger, from Ramble Ramble, who stopped, truly looked at her baby, and savored a moment that could have so easily slipped by. This post is so lovely. From Varda, over at The Squashed Bologna, comes A Funeral in our Future, a post about coming together and breathing in the small moments, the moments that prepare and sustain us. This post is short but sweet and filled with love. And lastly, I want to leave you with Down to Two Words by Kris, from Pretty All True, who actually posted this remarkable piece over on Surferwife’s site, A Day in the Life of a Surferwife (she is also lovely and fabulous). Confused? Read: Down to Two Words, by Kris. If you submitted something this week and I didn’t feature it here, that doesn’t mean that I won’t in the weeks to come. I might just be saving it for now. If you stumble upon a post that captures a small moment, or if you’ve written one yourself, please use my “contact me” tab (it’s over there on the left under “site links”) and send me the link. You know what's great about this Chole? Other than Kris, I've never read the other blogs. New blogs to check out and people to meet! Thank you! And I'm going to submit one to you – I think you'll love it…I know I did! Oh, Nichole, thanks so much for including me this week. I really needed it today, way down with some nasty premenstrual blues. You know those days when you sit and watch the twitter stream and think everyone else is more connected and a better writer and having more fun and more liked than you? Yea, one of those days. It was a relief when my period came this evening, and I realized "oh, THAT'S why I felt so crappy, OK stupid voices in my head, shut up, you're just bad hormones talking, sheesh." But some outside reinforcement, like this? Really helped, too. And I'm in such good company! Wow! It's so funny, when I read Kris's piece today I thought: "hey, this would be perfect for a small moment spotlight, I should submit it" but didn't get around to it yet. Should have known you'd have figured that out on your own. Much love to you (and gratitude). You made my whole day here, you know that right? Thank you, friend. I'm honored! I can't wait to check them out, and you just had, HAD to include Kris' piece. It was beautiful. What a wonderful surprise on a rainy Saturday! Thank you for including me in such amazing company! Awww . . . I am late to this party, for which I apologize. Spent the day supervising swimming and rock-climbing and pizza eating. Thank you so much for featuring this post. 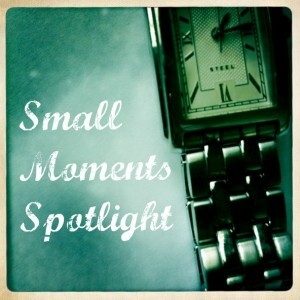 I am honored that you thought the post worthy of this Spotlight Series. And I am delighted to send some more traffic Surfer Wife's way! I know Ginger and Varda quite well, but Galit is a new friend. I can't wait to check out her post. Amazing that Kris wrote such an amazing piece to be featured on my little ol’ blog. I’m humbled by bloggers like her. And you. Any recommendation by Nichole is a weighty one indeed! And this post by Kris, is one of her finest, I too cannot fathom the idea of being able to 'let go'. Dude…looks like I have some reading to do!! I LOVE Galit, so happy to see her recognized here! "My Shiny Yellow House" is one of many beautiful pieces that is typical of her work. Now I can check out the other blogs that I am unfamiliar with!